How to construct a tangent to touch the outside of two circles. Shown above are two circles of different radius. 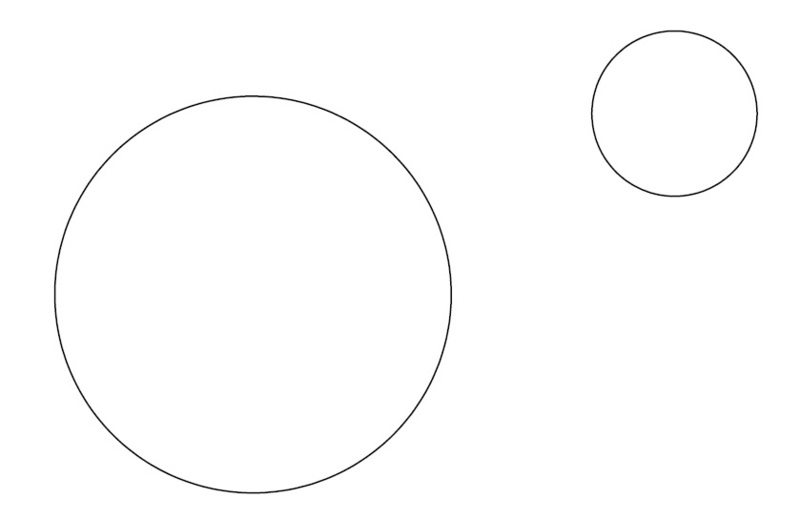 If the circles had the same radius, all you would have to do is join the centers of the circles and draw a line parallel line to this line that touches the circles. To find the points of contact you just go perpendicular form the center of the circles until it hits the circles. This can be a tricky question but if you think about it, it is actually quite easy. We have already covered a tangent to a circle from a point outside the circle. This question is almost identical if you relax the constraints of the two circles to suit what we already know on a tangent from a point outside a circle. What I mean by that is if shrink the smaller circle until it is just a point, you can apply the same principles from a tangent to a point outside a circle. The only thing to remember is that if you decrease the radius of one circle until it is a point you most also decrease the second circle by the same distance. 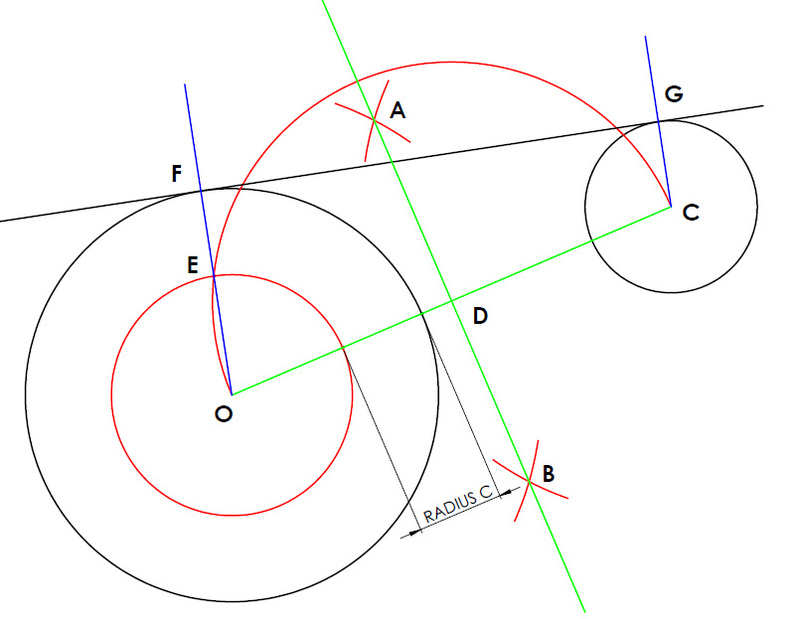 Once you have a point (point C)and a smaller circle (red cirlce) then you can apply what you have already learned on tangent to a point outside a circle. First we join point C to the center of the circle O and bisect this line. Where the perpendicular bisector, bisects line OC gives us point D. Take the radius OD and swing from point D. This will cut the red circle at point E. We know that the tangent is the line drawn from the point C through that point E, however since we relaxed the constraints of the question we must not re-introduce them to it. As we increase the two circles back to the original size the tangent will remain parallel. We stop when the circles reach their original size. The second point of contact can be located by drawing a line parallel to line OF from the center of the circle C until it hits the circle at point G.